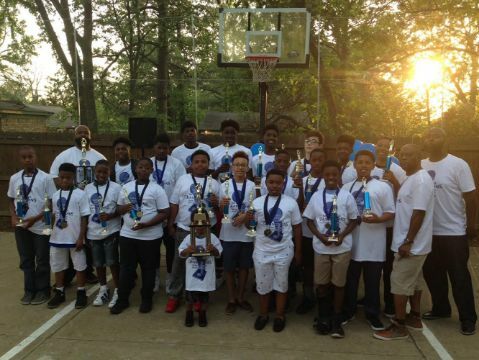 One of our ways to be effective in the neighborhood is having an all boys basketball team composed of 4 th -6 th grade boys; ranging from age 9-12 years old. We understand that one of the things youth in the neighborhood love is the game of basketball. You ask most youth what they want to be when they grow up and they will say, “I want to play in the NBA!” To take advantage of this we coach basketball teams for the purpose of relationship evangelism. We use the game of basketball to mentor, share the gospel, and to monitor/encourage good grades and behavior. We play these young boys through the East Shelby Church Recreational Association (ESCRA) League. This League provides the opportunity for our boys to play other teams from a different side of the track. We practiced 3 days a week Monday, Wednesday, and Friday. We have boys that play on our Team that is from 3 different schools in the community: William Herbert Brewster Elementary, Lester Prep and Collegiate school of Memphis. We started the season in January and played every Saturday through March.We finished the season 6-2 this year. We have gotten great support from the parents, teachers, and staff of the school. We also teach biblical manhood. We are training and equipping guys on what it means to be a real man. We teach them to Reject Passivity, Accept Responsibility, Lead Courageously and Invest Eternally. Through our coaching efforts we have the opportunity for many lives to be impacted with the Gospel of Jesus Christ. For more information about Team Eikon, contact Willie Baldwin.